... talk about bias tape that is. It's a conspiracy. I'm convinced that sewing notion companies created overpriced bias tape to sell us, and then when we sewists realized that it was over priced, they sold us dinky little bias tape makers. And then when we realized that those little bias tape maker are a pain, they sold us really huge electronic bias tape makers. Ahem... excuse me while I remove my tin foil hat. I know what you all are thinking-- why would she risk the wrath of the bias tape mafia* to tell us this? I can't tell you how much that one comment kept me up at night. 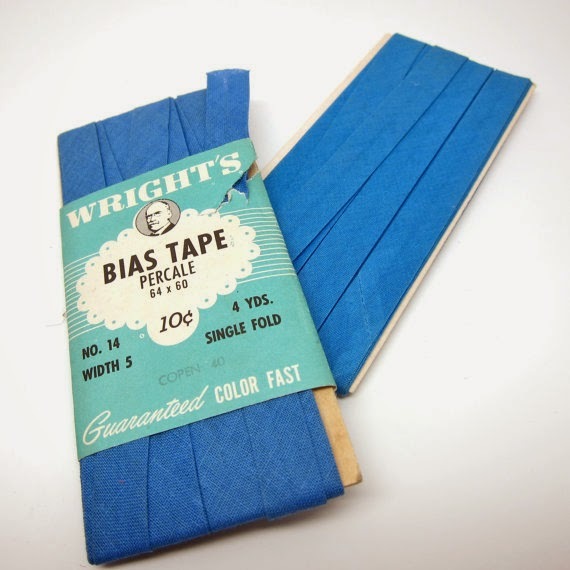 Here's a secret that 'they' don't want you to know-- you very rarely need to make bias tape. In fact, I would say about 90% of projects and patterns that call for bias tape (double fold and single fold) can be done without it. Especially home dec projects. I make it a rule to make projects as simple as possible; so I've been wanting to write up a post about this for some time; since I'll be sharing more home dec projects with the Making Home series. I ended up breaking my own rule and making some bias tape for a project last weekend. All the while I was folding and ironing and folding and ironing and burning my fingers and ironing some more; I was thinking about Susan and her ironing board cover. And I couldn't let this post go any longer. For these pictures, the blue is the bias tape, and the striped fabric can be the edge of a bib, pillow, potholder, dress, etc. Grab your bias strip-- either pieced from scraps (like mine) or cut from whole cloth. Fold it in half, wrong sides together. No need to iron! Align this with the raw edge of the right side of whatever you are binding. Option 1. Simply iron the bias tape down, so no raw edges are showing on the outside. This is the method I used to create the ironing board casing and the hem on the sunshine skirt. Keep in mind that the raw edges will show on the inside with this method. 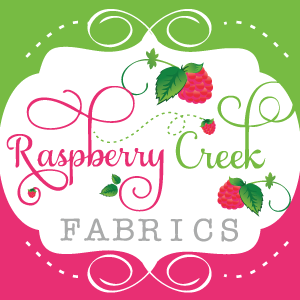 You can serger or zigazg them. Option 2: is to simply turn the bias tape back to encase the seam allowance and top stitch down. All raw edges (inside and out will not show. This the method used for sleeves on this dress.. and, of course, quilt bindings. And this is the outside-- No raw edges! and here it is on the outside. Once this is ironed and topstitched-- you'll never know that the garment wasn't traditionally faced or lined. Handy right? And all without tedious ironing! When should you use traditional bais tape? When you want to be very exact about how much bias tape shows on the right and wrong side of the garment. Other than that, give this method a try-- even just as a small protest against the bias tape mafia*. I'm totally curious-- do any of you all use this method regularly when sewing garments and home dec? Or do you prefer double and single fold bias tape? *I'm joking about the mafia thing... really I am! Well, kind of. ** I'm also not as paranoid as I come off in this post. Really!